There are plenty of things to do outside Amsterdam as well. Let's see, visits to medieval castles, cycling along the bulb fields, a countryside bus tour to see the famous windmills or a trip to the beach maybe. 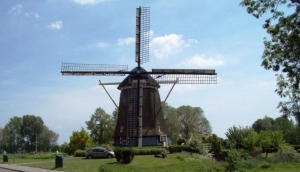 A tour of the Muiderslot castle, or a bus ride to the famous windmills of Zaanse Schans could be great if you don't want to be restricted to the city alone. During the months of April, you can hire a bike and go pay homage to the glorious tulip and bulb fields in the surrounding countryside. Sling your camera close; Holland promises some wonderful photography.